Spring into the season with bright greens and fresh flavours! 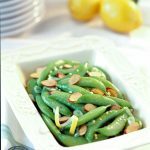 Lemon brings out the crisp, bright flavour of these green beans, and parsley adds a wonderful flavour that adds extra depth to tender-crisp green beans. 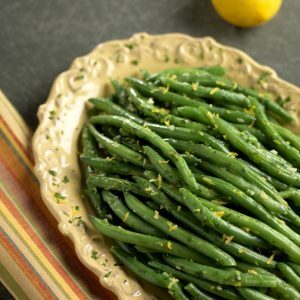 Cook Green Beans in large pot of boiling salted water until crisp-tender, about 3 minutes. Drain. Rinse beans in cold water and drain. Melt butter with oil in heavy large skillet over medium-high heat. Add garlic, stir 30 seconds. Add beans, sauté until heated through, about 5 minutes. Stir in parsley and lemon peel. Season with salt and pepper and transfer to platter. Recipe kindly sponsored by Mann’s.